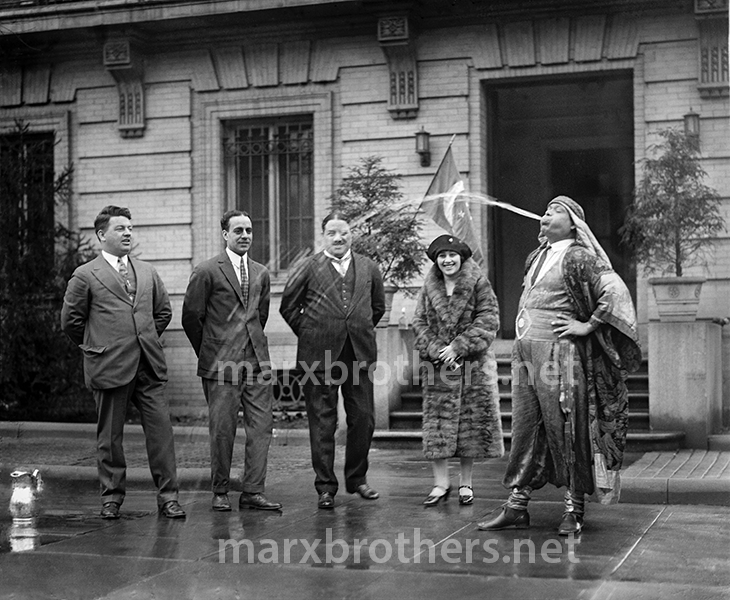 Hadji Ali was never a big-time performer in vaudeville – probably because his act was considered too freakish, and even a bit disgusting. He was alternately billed as “The Egyptian Enigma” – perhaps for those bookers not interested in hiring a man who vomited for a living. He opened with a few small feats of regurgitation – usually ingesting and regurgitating nuts and watermelon seeds. 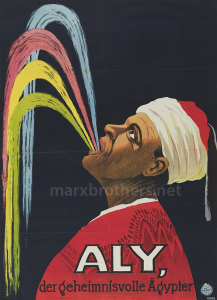 Motion Picture Herald described the big finale of Ali’s act in a May 23, 1931 review of a performance in Milwaukee, Wisconsin: “Hadji Ali… drinks a bowl full of water and then expels it. 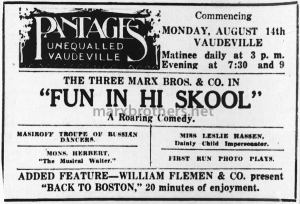 He also drinks water and then kerosene, which he expels upon a flame and later extinguished with the water he originally drank.” A film of the act survives and portions can be seen in the PBS documentary Vaudeville. Violinsky was born Sol Ginsburg in Kiev, Russia, on July 4,1895. The centerpiece of his act came when he simultaneously played piano and violin by strapping the bow to his leg, but he also received a lot of acclaim for a bit in which he spoofed silent movie accompanists. 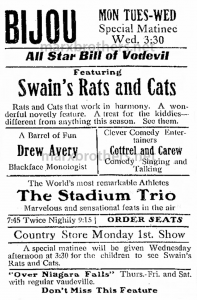 The act was preserved in a 1929 Vitaphone short film. 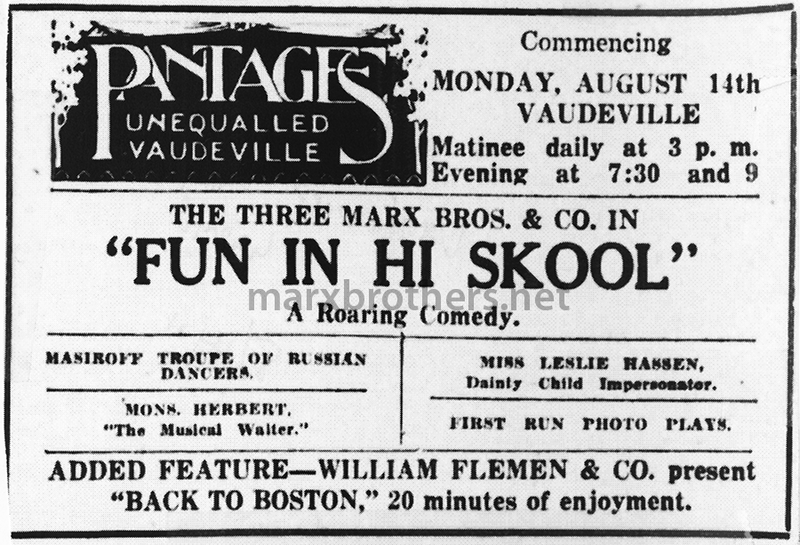 Violinsky was on the bill for the week of September 19, 1915 when the Four Marx Brothers were at the Orpheum Theatre in San Francisco, California. 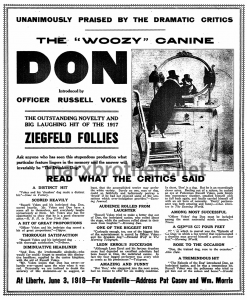 He would later work as an uncredited writer on Monkey Business – allegedly providing only one line used in the film. (If it is true that the line is, “You bet I’m shy. I’m a shyster lawyer,” Violinsky made the most of the opportunity.) 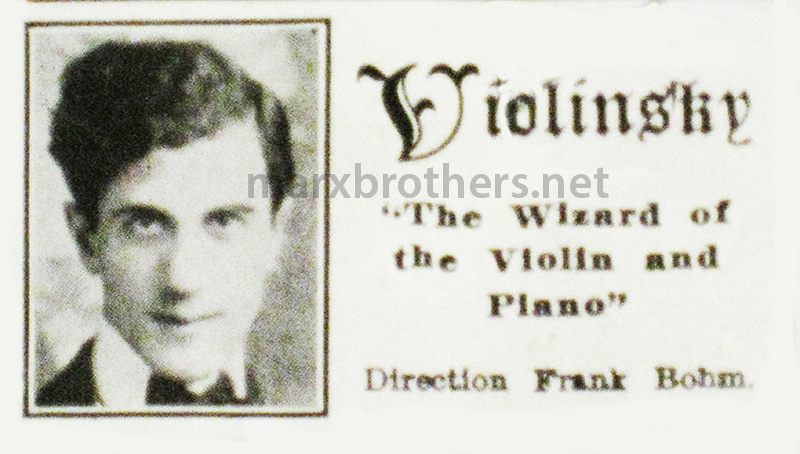 He also co-wrote Chico Marx’s theme song, “I’m Just Daffy Over You” and a subsequent version with alternate lyrics, “Lucky Little Penny.” Violinsky died on May 5, 1963 in Binghamton, New York. 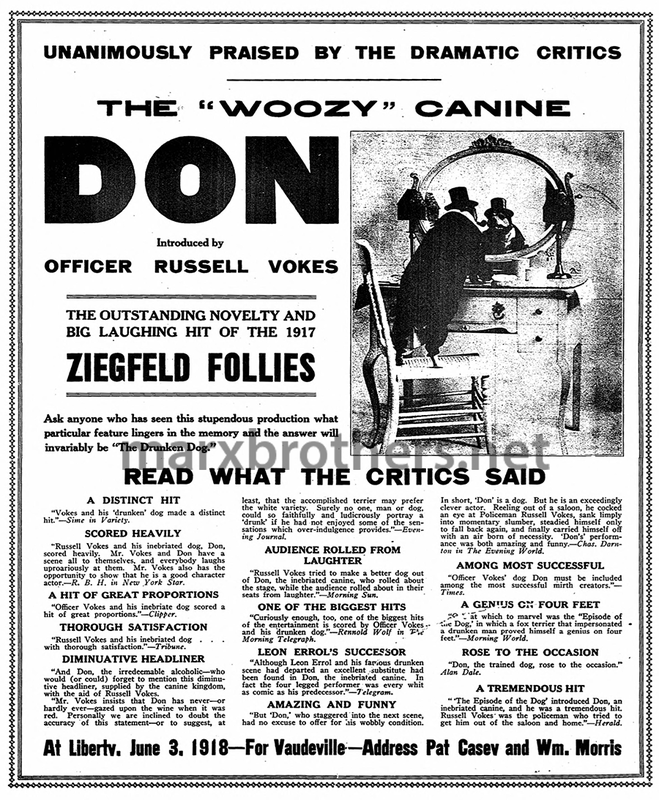 Harpo Marx described Mons Herbert’s act in Harpo Speaks! 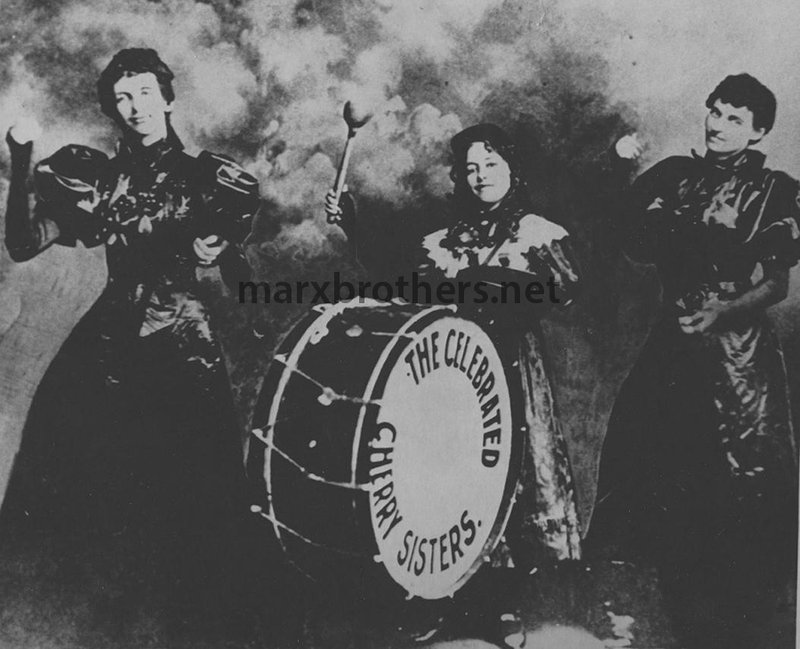 “Mons used to set a dinner table on the stage, and play ‘The Anvil Chorus’ by blowing knives and forks against each other. For a finish he would blow up a prop roast turkey and deflate it in such a way that it played ‘Oh, Dry Those Tears’ out of its rump.” Herbert was on the bill with the Three Marx Brothers at the Orpheum Theatre in Waterloo, Iowa for the week of March 13, 1911. The Waterloo Evening Reporter called Herbert’s performance a “very novel musical act.” The German-born Herbert seems to have started doing the act around 1903. 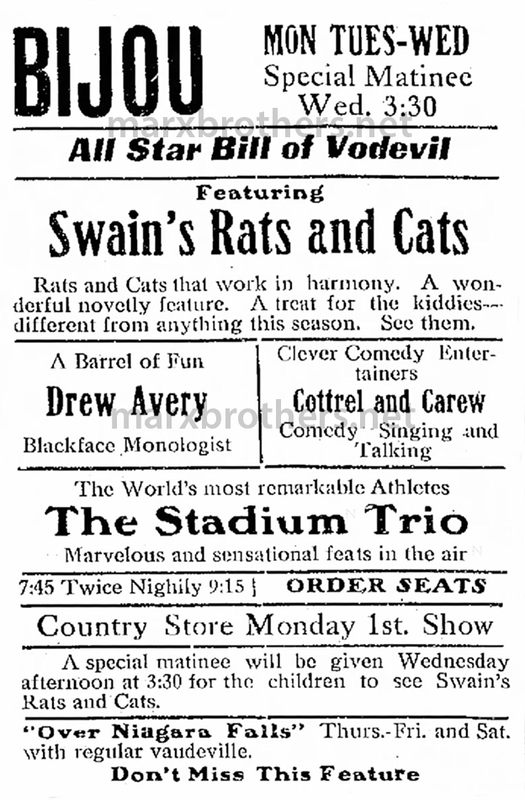 He performed it in Australia in 1913 and was still doing it on American vaudeville circuits in 1935. 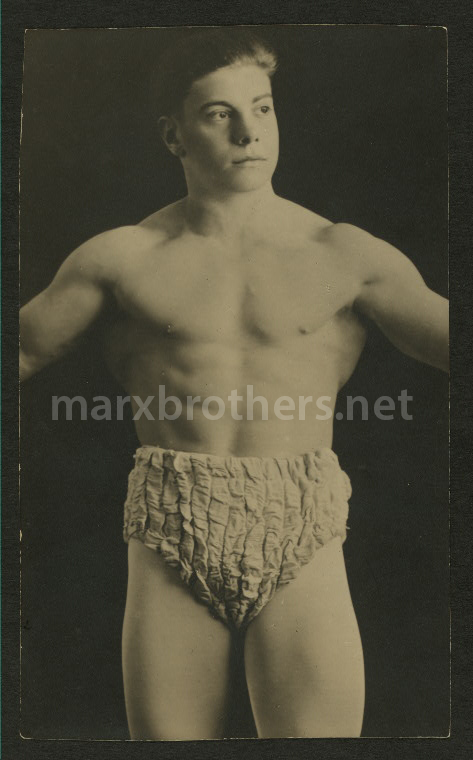 He died on February 17, 1936 in Detroit, Michigan at the age of 64. 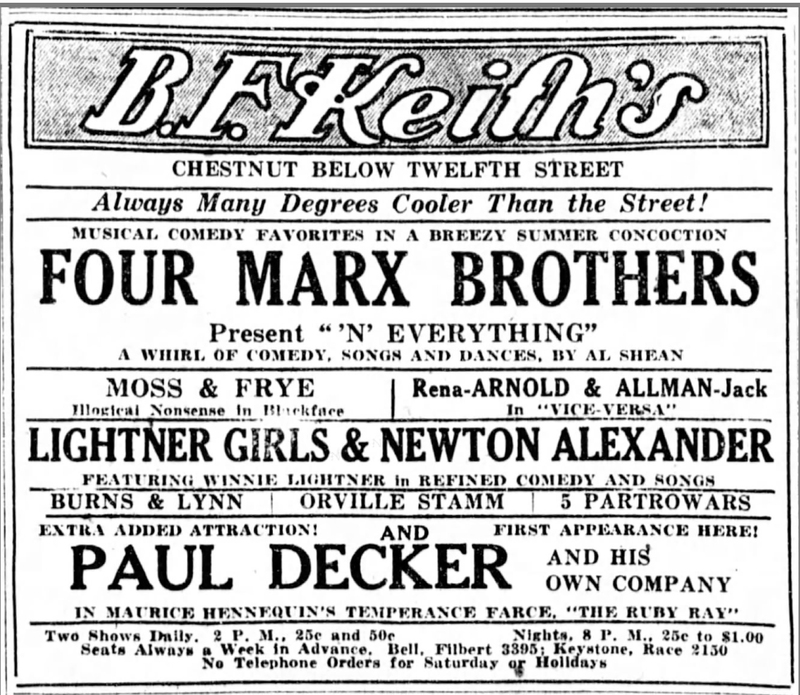 Orville Stamm on a bill with the Four Marx Brothers in Philadelphia, week of July 29, 1919.